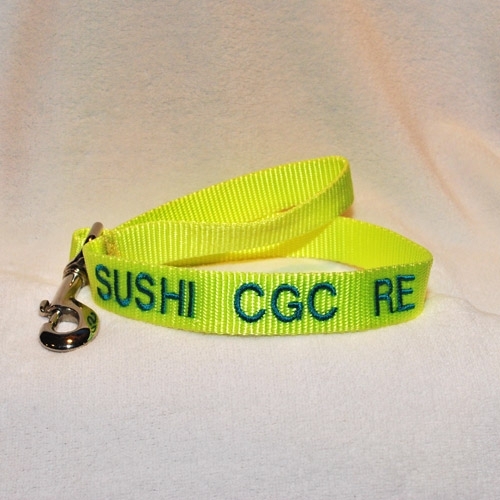 Made with heavy nylon, curved plastic side release buckle, heavy duty welded D ring. 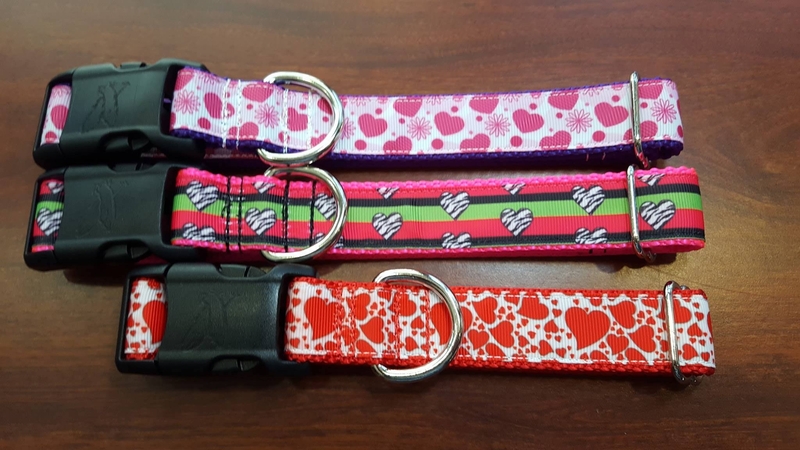 Dog collar with Hearts. 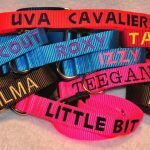 Martingales also available. 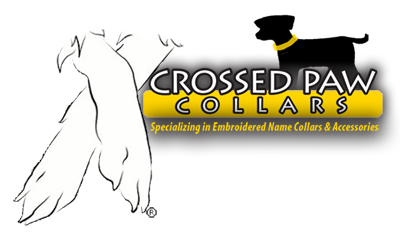 Your choice of patterns, your choice of collar color. A Valentine’s Day must have! 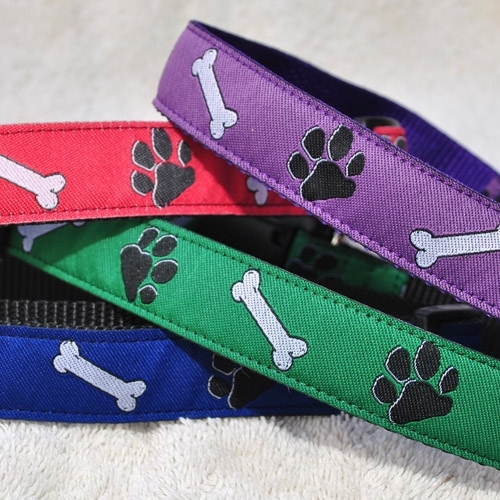 Dog collar with Hearts – designer ribbon sewn securely over soft nylon webbing. Top quality, nickel plated steel, heavy welded D-rings, contoured, top quality side release buckle. PLEASE NOTE: All pieces are made by hand, so no two items are exactly alike. Please allow for slight variances from what is shown in the shop photos. 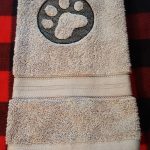 We recommend hand washing and line drying all dog collars, leashes and martingales. 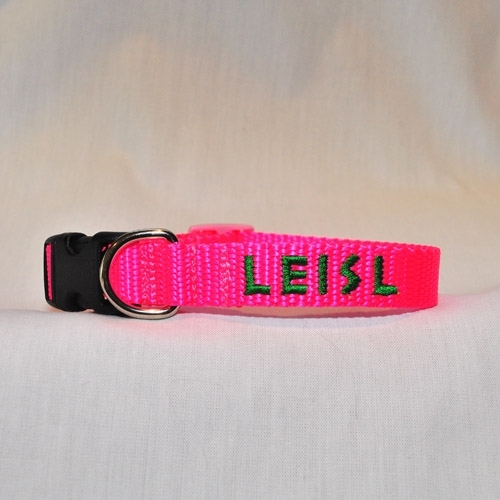 Dog collars and martingales are triple stitched for extra strength and security. A PORTION OF THE PROCEEDS ARE DONATED TO SHELTERS AND SPECIAL ANIMALS IN NEED. Be the first to review “Valentine’s Day Dog Collar – Hearts” Click here to cancel reply.